Carmandale Persians & Exotics is situated in Roodepoort in the Gauteng Province of South Africa, run by a passionate team Shaun Armand & Antoni Nortman were we strive to breed our beloved Persians with honesty and integrity, with good temperaments, healthy, sound type and for the love of our cats. Tortoiseshell named Turtle; who he thought was the most incredible cat he had ever seen. 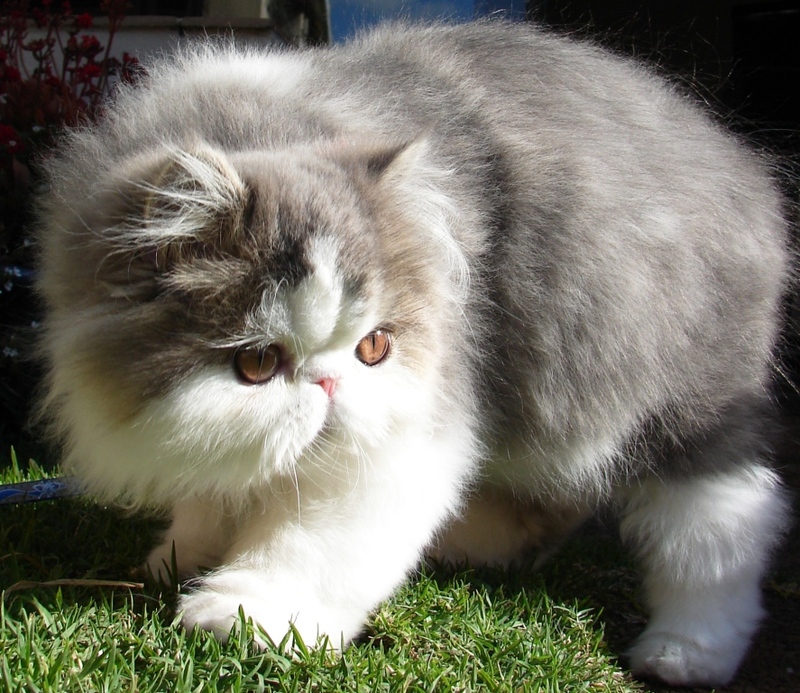 Not to clued up, as we all are when we start, stumbled around the cat world with very little knowledge, but tones of enthusiasm and love. After a few years of in-depth study and correspondence with the outside world, I found out that my beloved Persians were in fact the old fashion "Doll Faced Persian" and was not breeding to any standard. 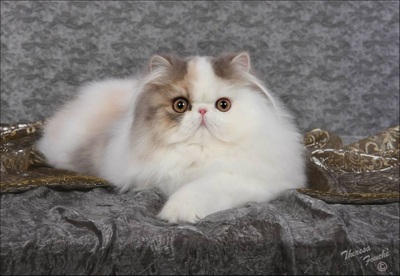 Finding myself very confused and lost decided to import a lovely pair of cats from Marianne Nel of Flamboyant Persians and Hannelie Rohrs of ShakesPurrs Persians, were my mentorship and direction began. breeding and showing amongst some amazing people who helped me grow as a cat breeder and to whom I am eternally grateful. At the end of 2008 I moved to Gauteng to further my career and due to the recession unfortunately was forced to re-home most of my beloved kids and focus on my career. 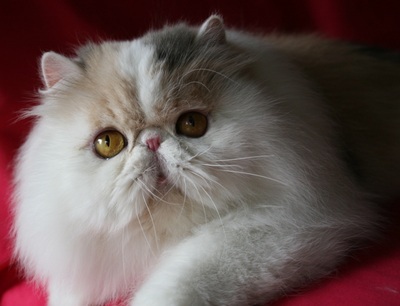 2010 brought some new direction and focus into my life and my passion rekindled itself and started again; focusing on improving my cattery, bloodlines and breeding for health, temperament and type.We breed beautiful dilute and dominant bi-colors, vans and harlequins with a special love for Tabbies; with my next adventure of starting a solid program in a variety of colors in 2012. 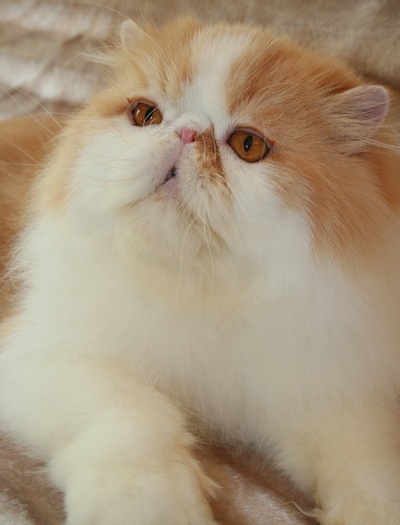 Antoni's passion for Exotics started early 2012 and was eternally grateful when he was offered the opportunity for his first Exotic Male from Etrecia from Purr-n-Meows Persians and exotics and working towards a variety of good lines. Catica, Panei, Pajean, Whiskers Up, Hotlanta, Duetcatz, Cattabury, Kuntry, Catillak, Jubeleum and more. 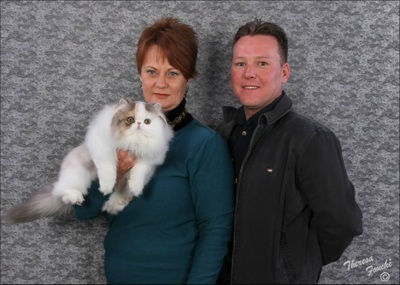 We are committee members of Feline Fan Club and show our cats under the Cat Federation of Southern Africa as well as being members of SACC and show in CASA occasionally to ensure we are breeding to standard; working towards a specific look. Kittens available to selected homes from time to time. 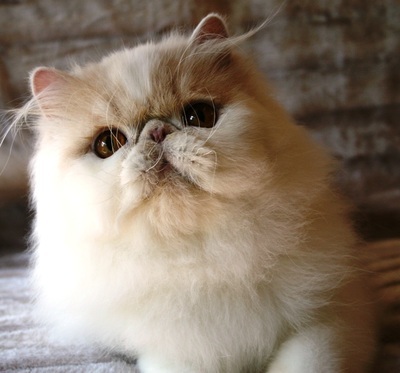 All our cats are tested locally for FeLV, FIV and PKD DNA tested at the University of California unless our cats have parentage that are both PKD negative as this means they cannot produce positive cats. All our kittens leave between twelve and sixteen weeks depending on there maturity, with a full health check, up to date vaccinations, de-wormed, a contract to insure the well being of our kids, a 2 year genetic guarantee, proof of parent testing and registered with the Cat Federation of South Africa (CFSA), a small starter pack and of course a well socialized, potty trained bundle of joy to bring you all the love and purrs you deserve. All our kittens are sold with a contract and all pet homes will be neutered or spayed before leaving. We do fly kittens on request. Please sign our guest page and leave your valuable comments. We have a few lovely Exotic babies on the ground, with some more on there way; to avoid disappointment be sure to book one of our Carmandale Babies now. Have a look on our Exotics available page for details or put your name on our waiting list. Huge congratulations to Petrina for this amazing achievement and for showing our babies to there true potential. We are eternally grateful and very proud of our kids. We are proud members of The Cat Federation of South Africa, The Southern African Cat Council, we show Under Cat Association of South Africa and we are a proudly DNA Tested Negative Cattery as well as testing negative for FIV and FeLV.